Discussion in 'Promo Codes and Contests' started by fenixn0909, Sep 3, 2012. The battles for fruits between monkeys and mice are never ended! How could you retrieve the fruits and all the golden melons for the monkey tribes? 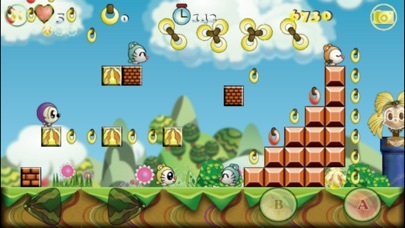 "Monko Jumpo" currently contains 2 cartoon 2D platformer game modes with totally different playing style! Mode - Monko Quest (2D Platformer that you will like)! • Break Bricks, get Coins, find out Golden Melons, fight Bosses & rescue Princess! • Get power-ups to help you pass levels. • 95+ hand-crafted 2D platfomer levels with boss, challenge EXP & secret levels. • Easy to clear the levels but very challenging to get all Golden Melons & Red Rings. • Collect enough "Red Rings" to unlock "EXP Levels". 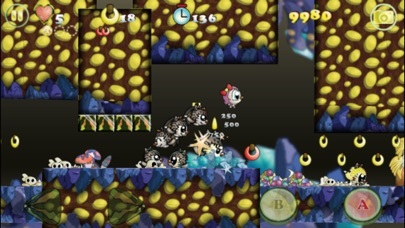 • Find out the "Crystal Rings" at some very tricky spot in some levels to unlock challenge levels! 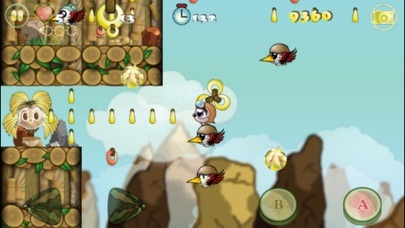 • Ride on banana slider, chase/hit the mice to sky high and get fruits back to the tribe. 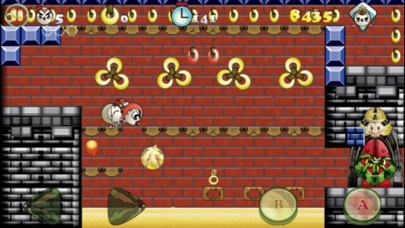 • More than 20 kinds of equipments, power-ups, helps you in your adventure. • Collect "Banana Rings" to get equipments and use super equipments at right timings. • Wonderful worlds with changeable splendid free season expansions combinations. • Randomized stage environment each time you play. • Easy rampage for all ages! Check it out on iTunes for more details! We'll show you where's the Crystal Rings by screenshots progressively. It sure would be nice to know they are used before I type them into iTunes....oh well! Very interested in this, and hoping to hear impressions since I missed a shot at the codes. Just redeemed L7KEMEXXTRYY now, and gave the "runner" mode a go. Quite fun, and very cute and colorful. Impressive! Get Back! is an endless runner variety in which you tilt your device for forward momentum and tap to jump. You play as a mouse riding a banana. I've played this twice and can't quite determine what it is I'm supposed to be doing as far as what I want to hit or avoid. My first game lasted about two minutes, my second game about four minutes with a score of 192,940. 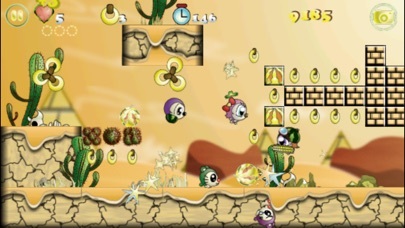 Monko Quest is more a mini platformer. There are 72 levels that are small and your task is to get to the right side and collect all three gems by jumping on bricks and enemies while avoiding pitfalls. Controls are a left/right directional arrows and jump buttons. I do want to add that there are two more games promised (under construction). The main menu is a bit awkward to navigate as there are only cute things to click on, most will send you to Facebook or what-not. All in all I would give this a soft recommendation if your in love with the graphics and not expecting too much. I am curious as to the other two game modes. I'm hoping one is a longer platform. I give the game a C+. Don't worry, this game goes free twice a month or so. I'm pretty sure I've DL'ed it and completely forgotten about it. This one looks good. Miss codes though oh well. Hmmm. Just wanted to play the 'mario' game but so far can't get that working. The endless runner game is dull. The menu system is confusing as anything. So far it's a waste of 69p!! We appreciate for your time for the long review, we add "Custom Game" in Get Fruits Back mode to let player choose which stage, expansion theme and character they like. and "Quick Game" for the all random setting, also improve the menu design. After you hit the level 1, loading screen will show up, then comes the prologue. after the prologue the game will be start. level 1-18 are kind of tutorial levels, challenging levels from level 19. And you will need take hours(maybe 2-3) to get all melons, unlock & clear all EXP levels and challenge levels. you can select character at top left corner before you hit the levels. 9 EXP levels - you need 5-red ringed 50 levels to unlock them all. spot in the 72 story levels. Try find out the secret level. new stage will coming by updates. you play as a monkey ride on banana, hit the mice to get the fruits back. each time you hit a mouse or container, they would pop out some fruits. on left side there's a level quota, get the fruits exceed the quota before you reach the goal. you could upgrade your equipment by collecting the banana-rings. I'll try make the menu more clear. thank you guys, have fun. Glad to hear from the Dev exactly what we're suppose to do because I hadn't a clue! !